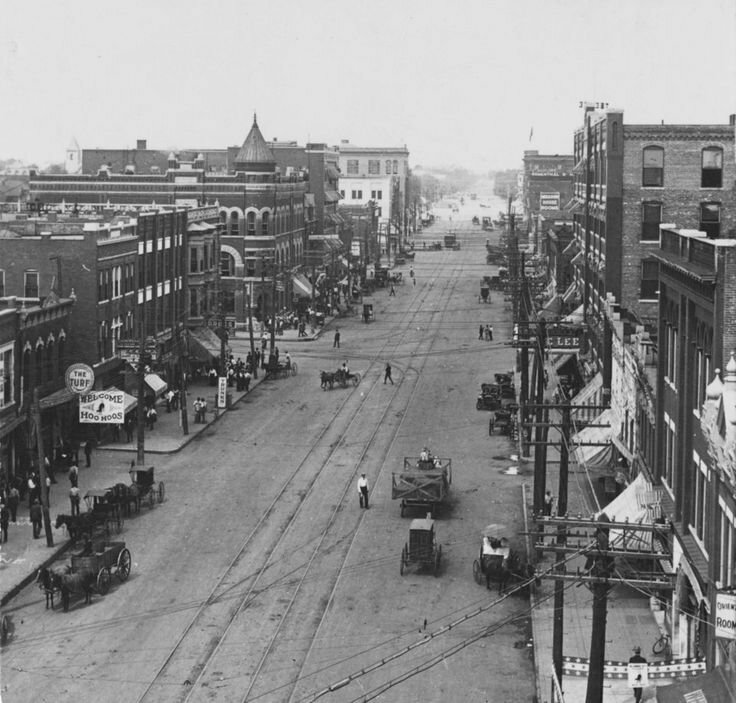 Just after statehood, downtown Oklahoma City was booming, and Broadway Avenue was the primary artery feeding the young city. True to its name, Broadway was built wide. Wide, because the avenue had to accommodate trolleys and broad so farmers and merchants coming to town could turn their horse drawn wagons around, changing directions as needed. 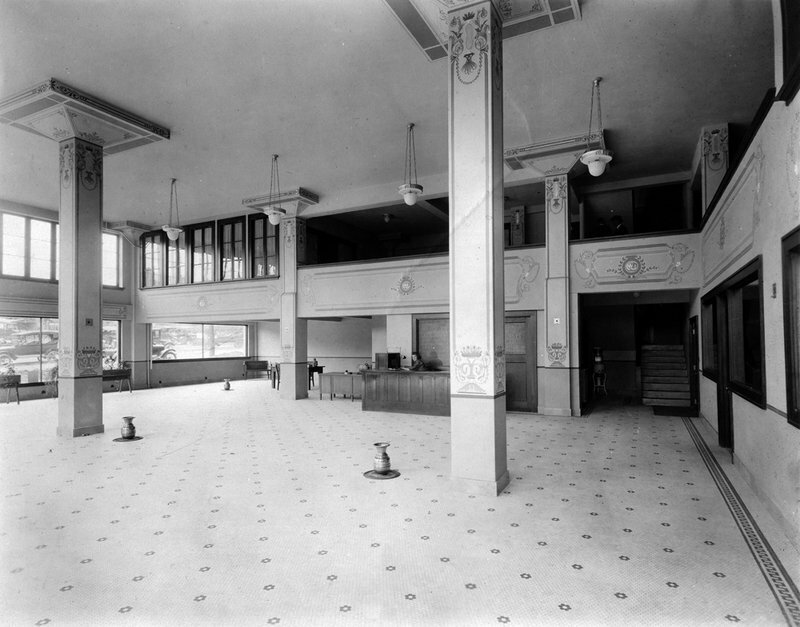 In 1911, an entrepreneur recognized the area’s potential and built a Buick dealership at the corner of NW 5th and Broadway, where Red Prime Steakhouse now sits. Several other automotive companies followed the lead, building dealerships along the busy avenue. By the time the 1920s really began to roar, almost all of the quarter million cars registered in Oklahoma were sold along the short stretch of Broadway that affectionately became known as Automobile Alley. 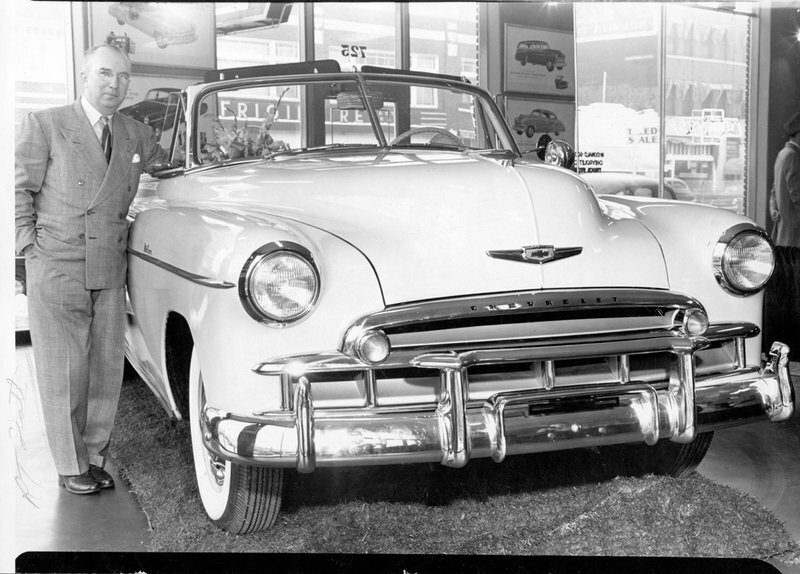 For the next 60 years, Automobile Alley boasted a wide selection of dealerships, featuring nearly 50 different car models and offering a broad selection from Buick to Studebaker. As many customers began fleeing the inner city for the suburbs in the early 1970s, dealerships followed suit, abandoning buildings and leaving the area to fall into disrepair. In the mid-1990s, investors recognized the area’s potential and began work to convert an abandoned Buick service garage on NW 13 and Broadway into loft apartments. The project was delayed by the bombing of the Murrah Building in 1995. In addition to damaging what would later become The Garage Lofts, the blast destroyed already decaying architecture, causing collapsed roofs and blown windows district wide. Out of the ashes of the Murrah building disaster, Mayor Norick, the Urban Land Institute and city organizers were able to secure funding and establish the Automobile Alley Association with the goal of revitalizing the once thriving district. 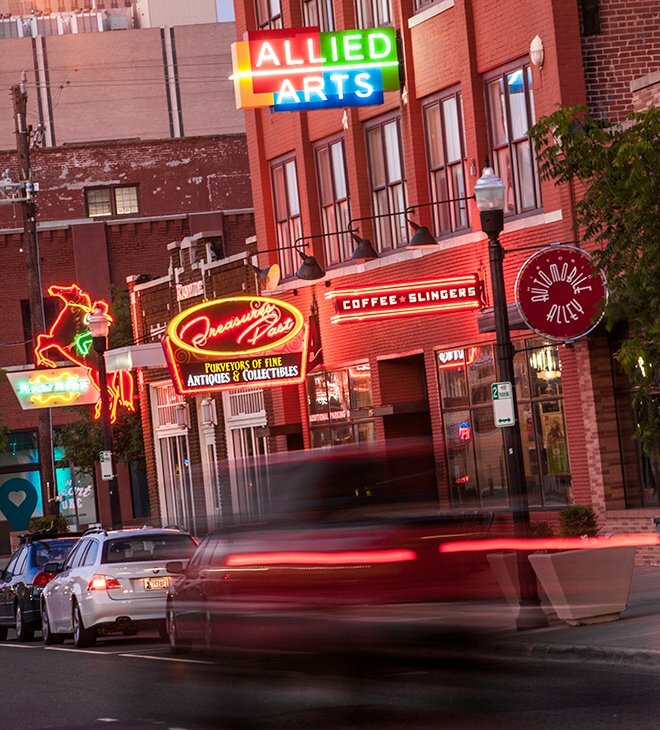 After over two decades of hard work, Automobile Alley is once again a thriving artery into the city. Park anywhere along the busy avenue and enjoy a pleasant walk featuring great shopping, food, beverages and a vibrant community of small businesses. Whether it’s picking up a unique gift at Shop Good or Plenty Mercantile, savoring a slider at S&B’s, sipping gourmet java at Coffee Slingers or a craft cocktail at Sidecar, Automobile Alley serves up a full entertainment package for everyone in the family. District encompasses area from NE 4th to NE 13th between I-235 and Robinson.